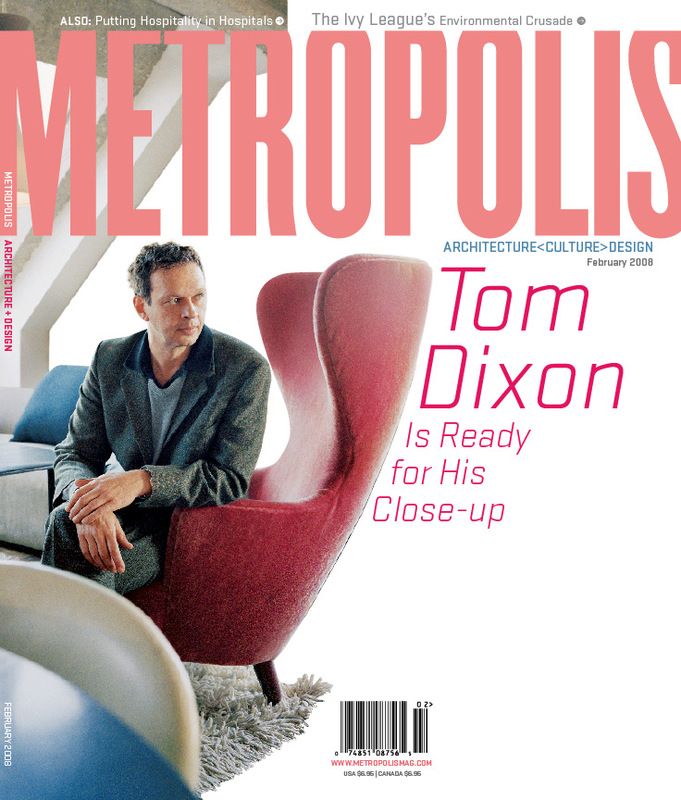 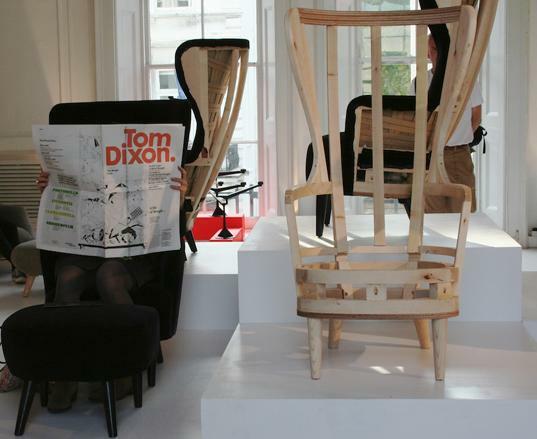 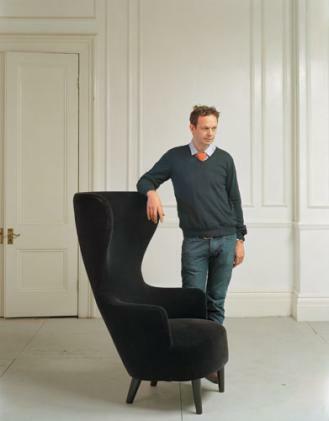 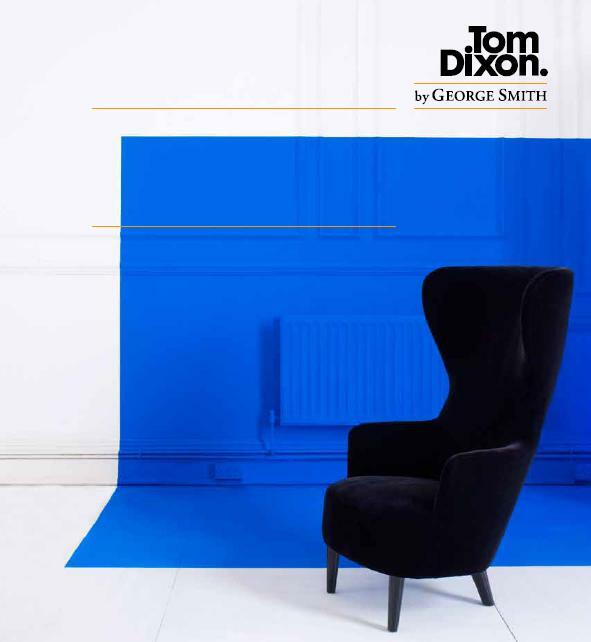 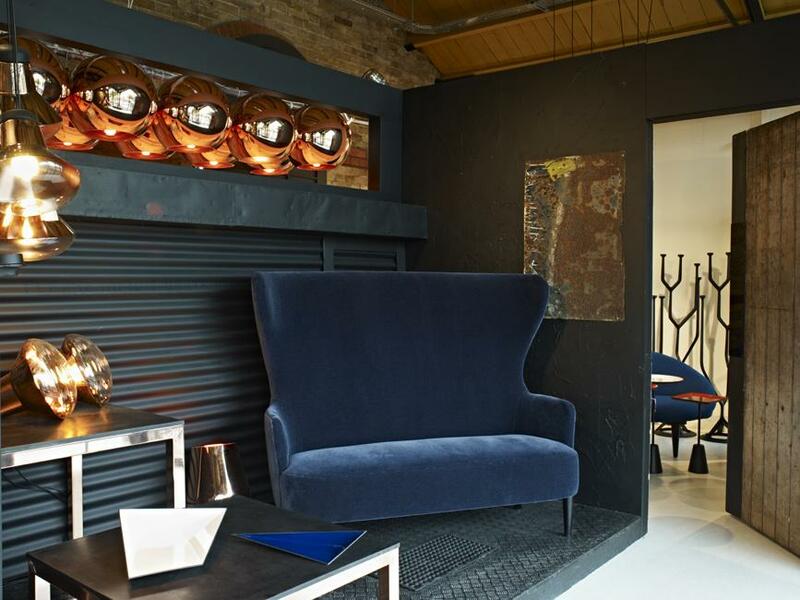 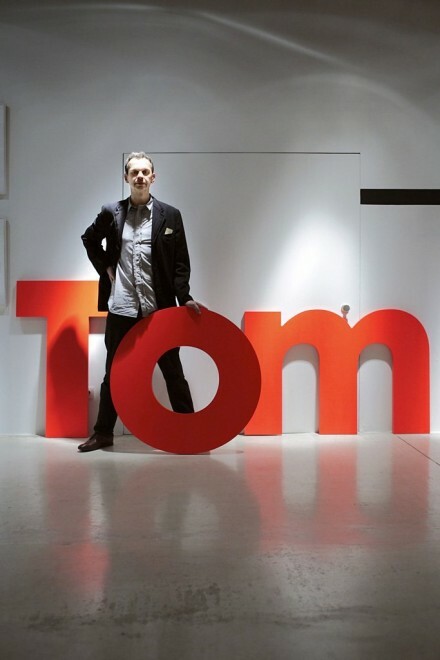 Launched in September 2008, Tom Dixon by George Smith is a contemporary British upholstery brand that unites quality traditional manufacturing techniques and contemporary design. 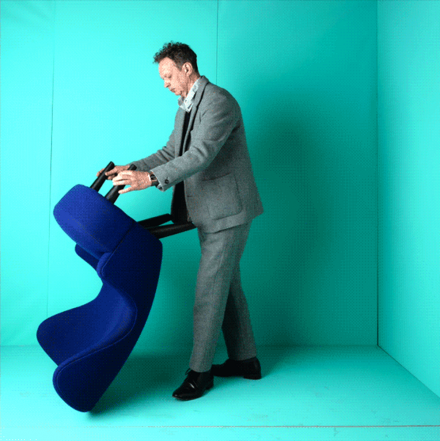 Bringing together two iconic brands the partnership illustrates that British manufacturing and innovation are still alive today. 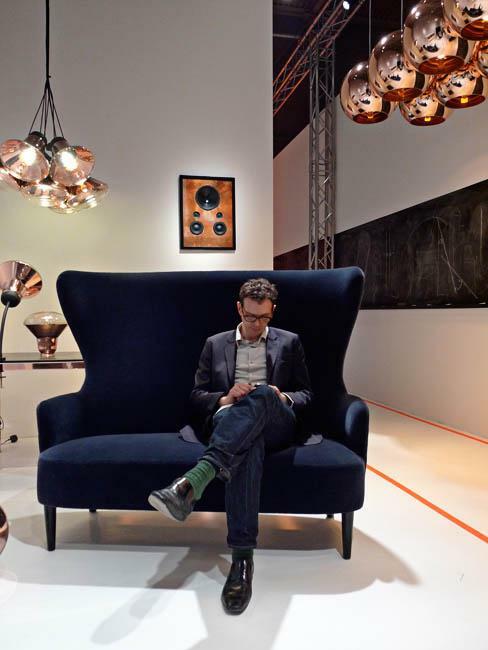 The collaboration challenges the method of manufacturing contemporary shapes, pushing the boundaries, to develop an innovative product of the finest quality. 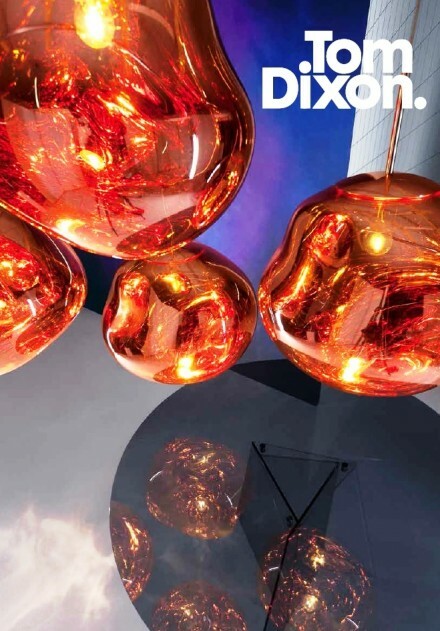 Resolutely British; with all products made in the George Smith factory in Newcastle and designed by Tom Dixon, the partnership underlines the capabilities of British manufacturing and design. 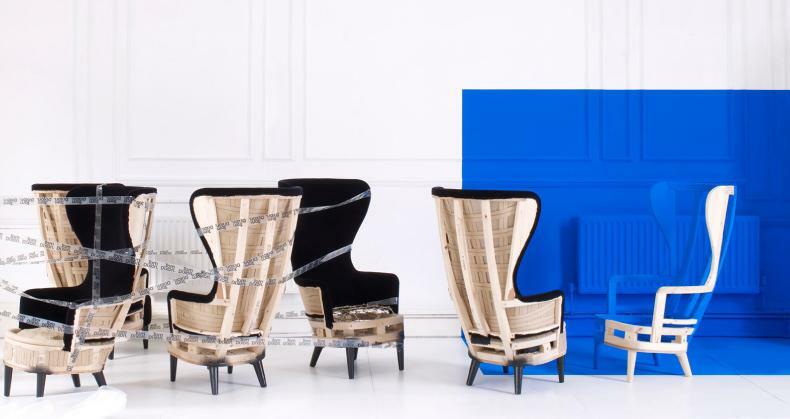 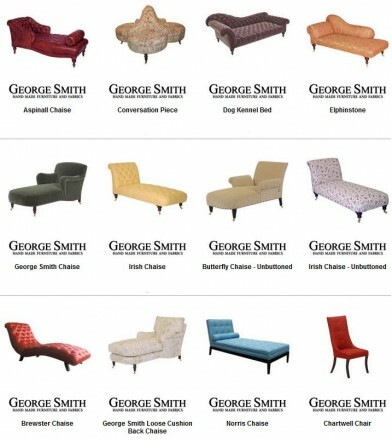 The collection celebrates the traditions of British upholstered furniture with each piece hand made by George Smith using long established techniques practiced for over 250 years. 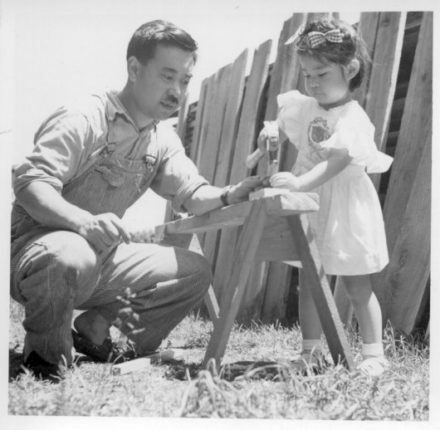 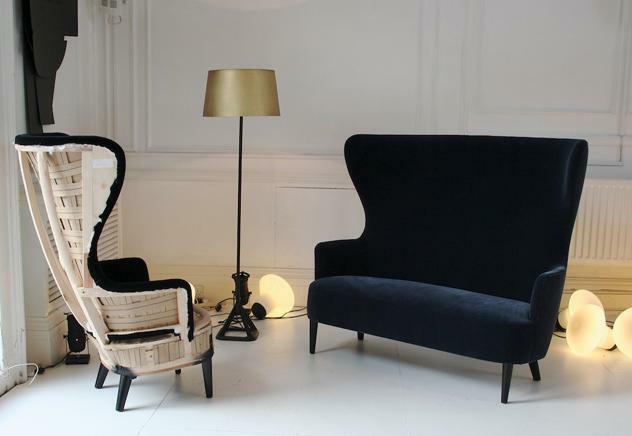 Skilled craftsmen, including generations of the same family, employ the use of traditional skills such as joinery, hand sewing and upholstery. These skills are kept alive through an apprenticeship scheme which ensures the knowledge and techniques are passed down from generation to generation supporting the British industry. 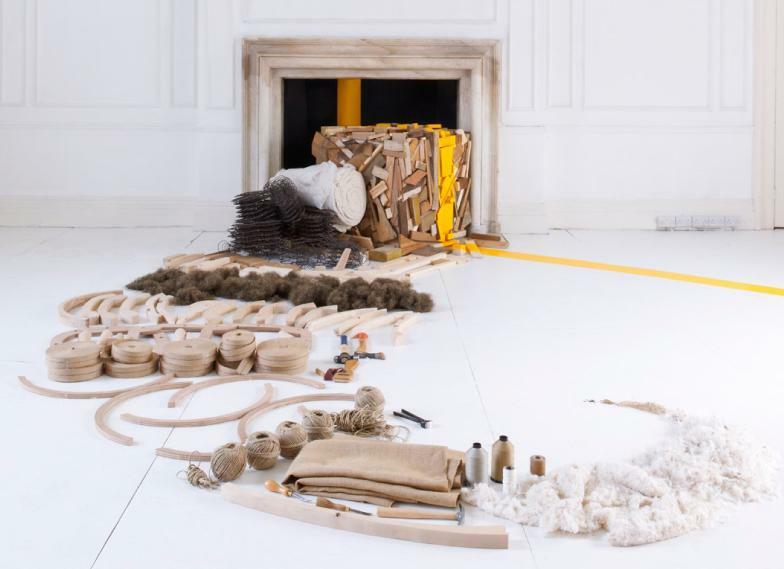 The construction of each piece uses many materials from renewable sources; with frames made of wood from sustainable forests, and the main body fillings upholstered with natural ingredients including natural cotton, feather, and boar bristle. 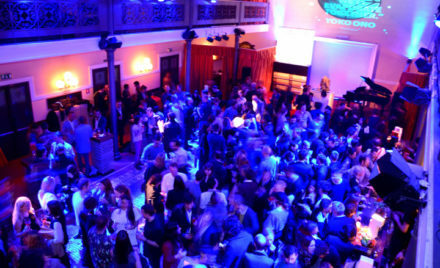 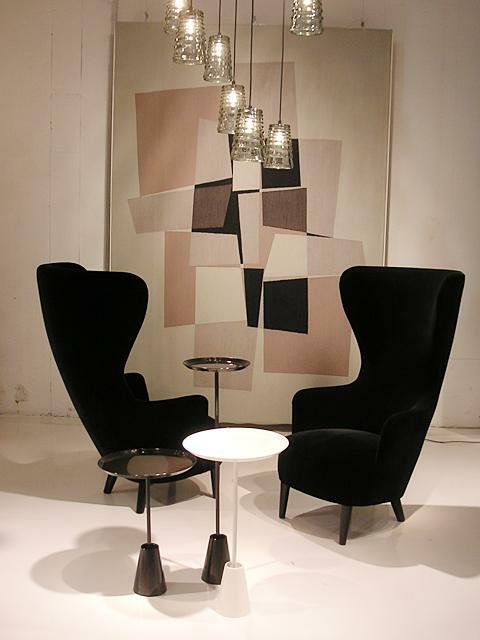 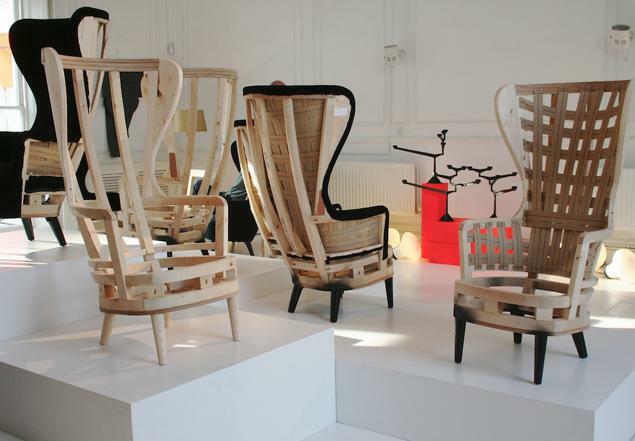 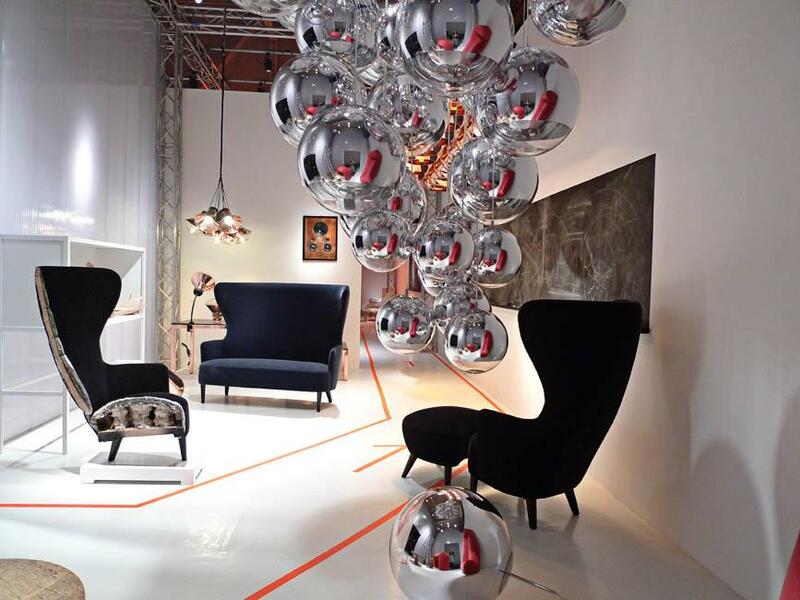 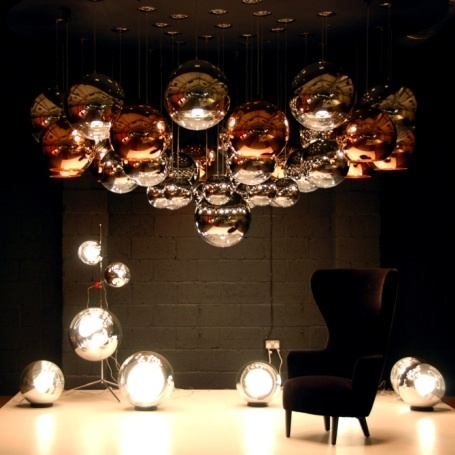 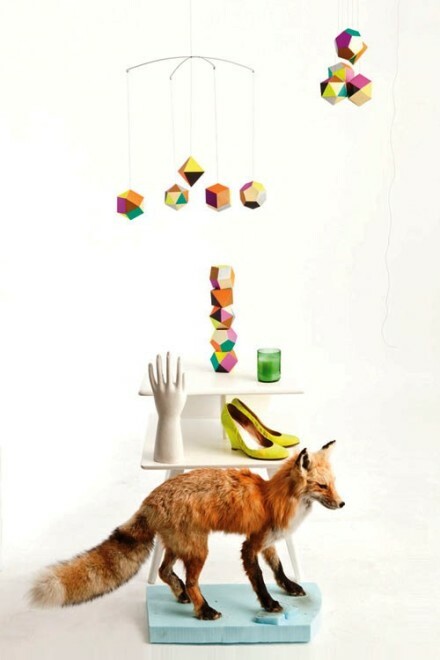 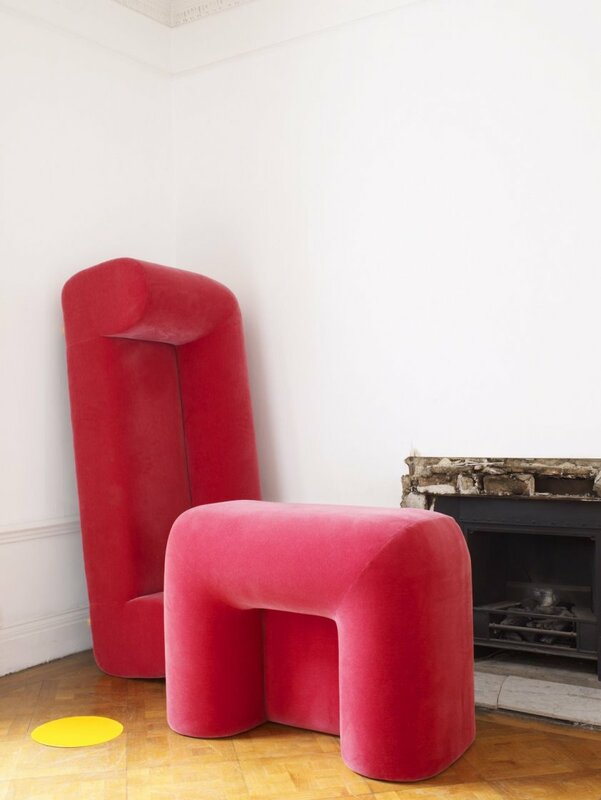 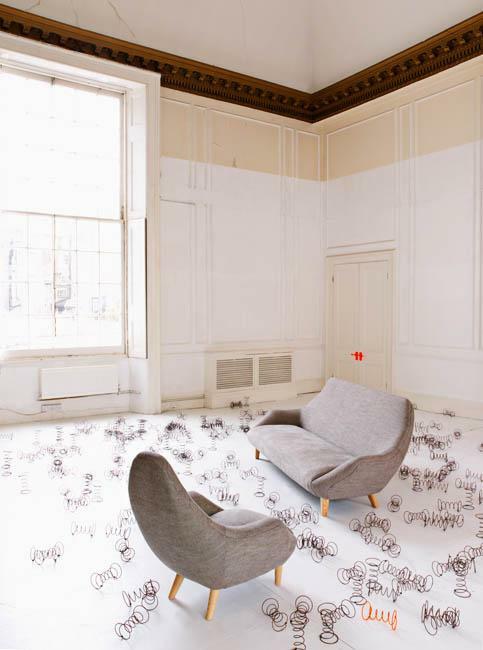 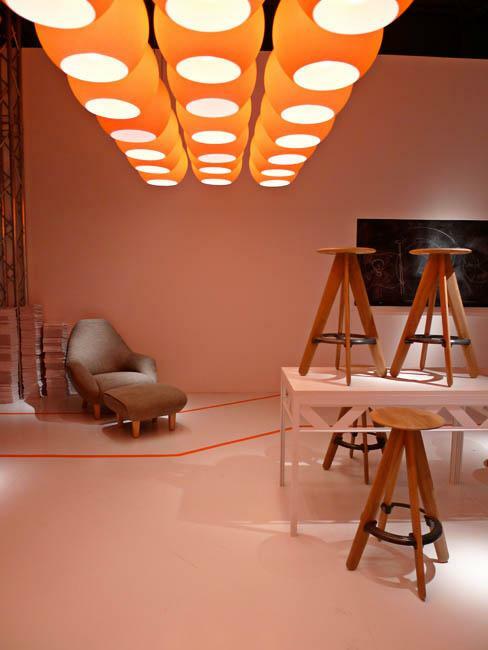 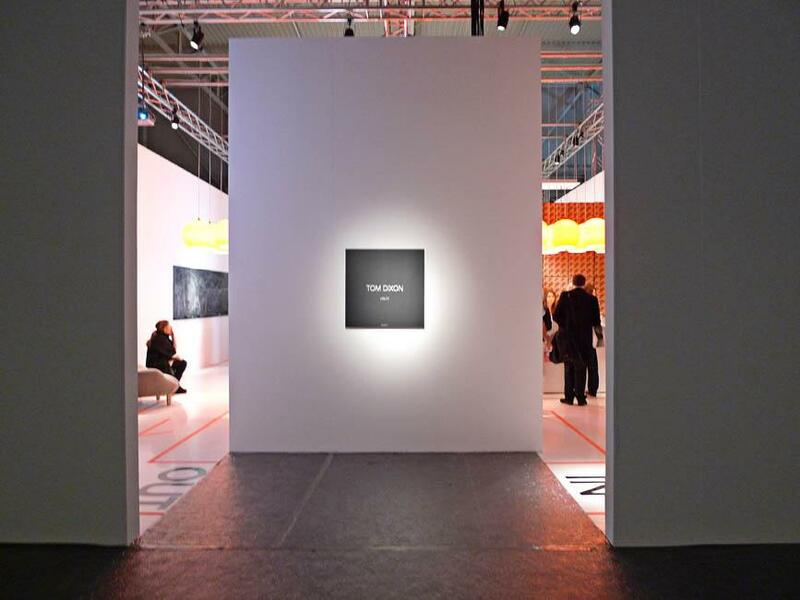 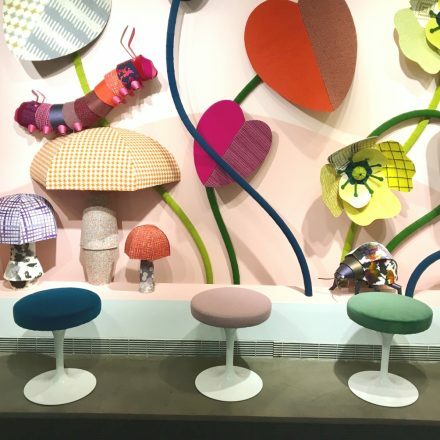 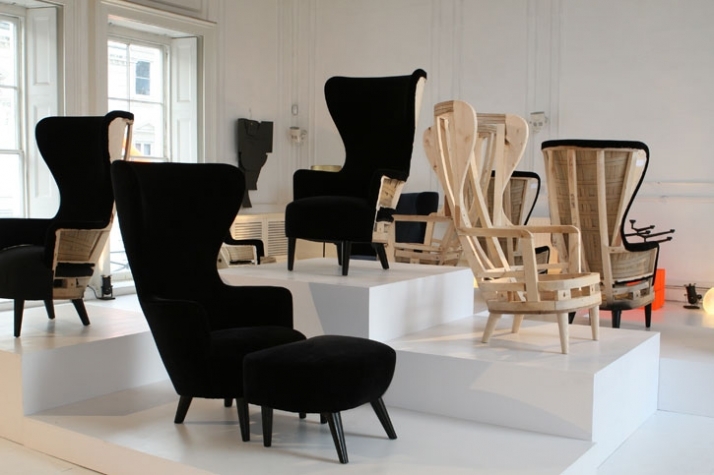 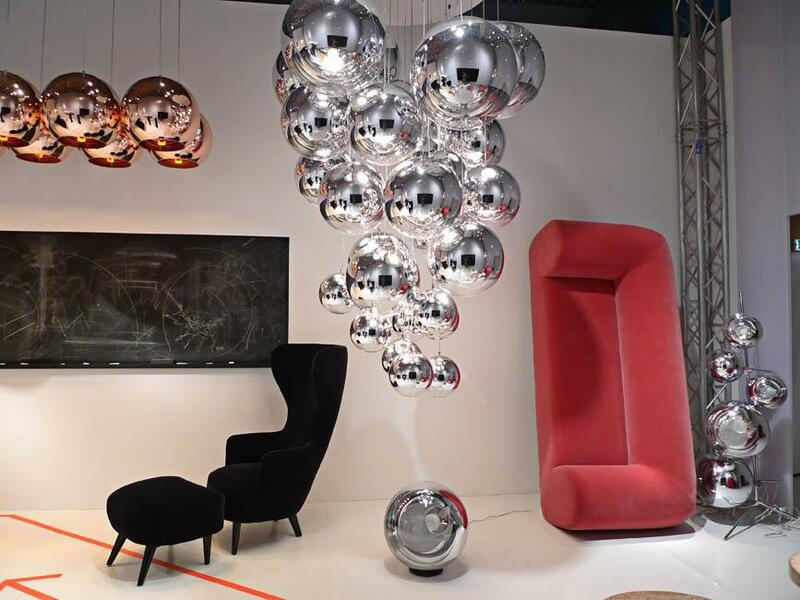 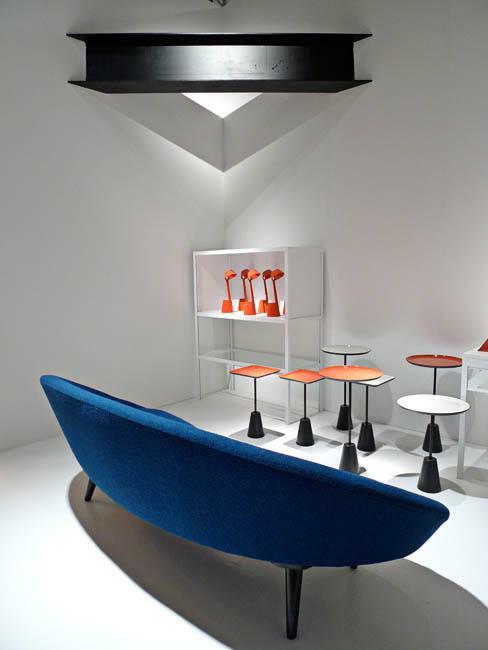 The collection previewed in the UK during the London Design Festival, September 2008 and launches internationally at the Milan Furniture Fair in April 2009. 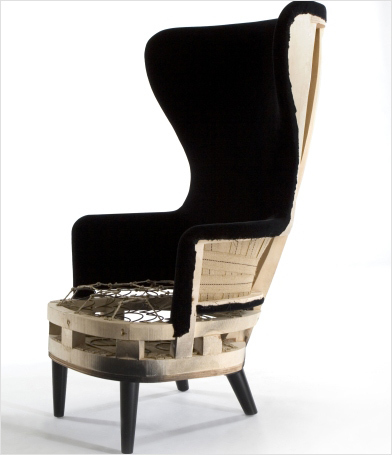 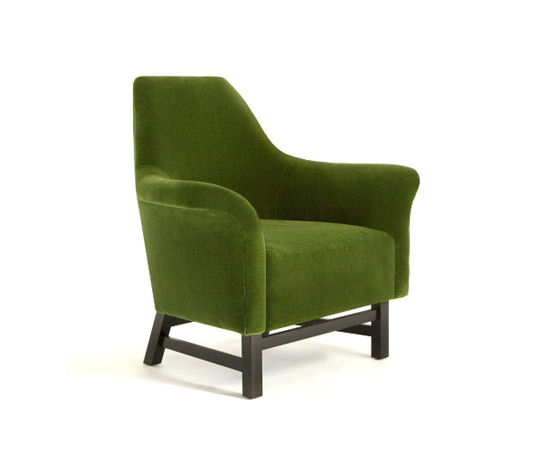 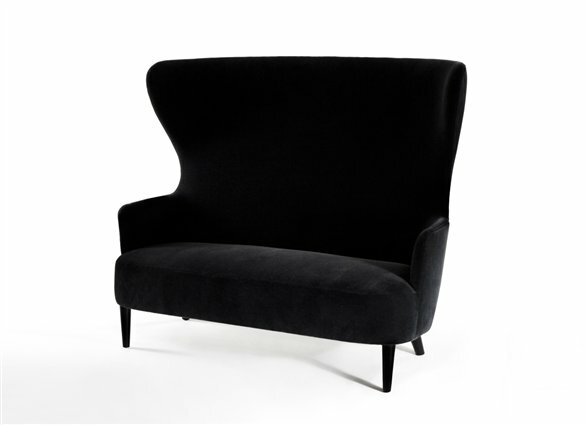 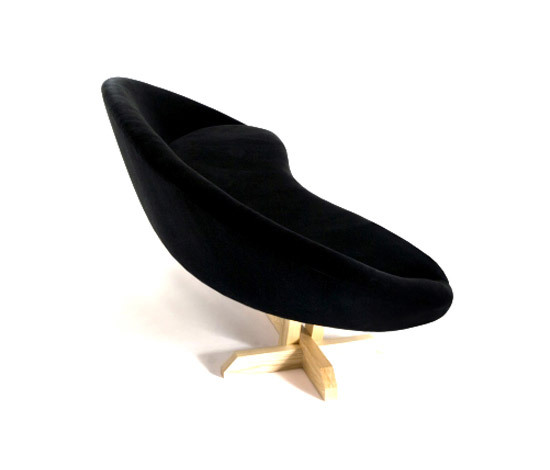 A fully upholstered high back lounge chair, inspired by the traditional 18th Century British Gentleman’s Chair. 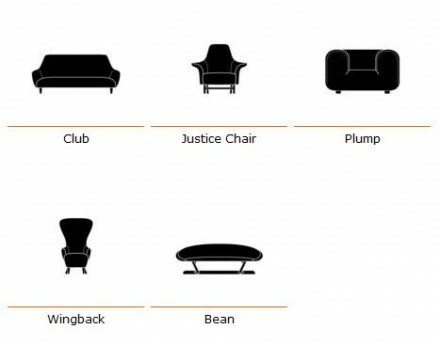 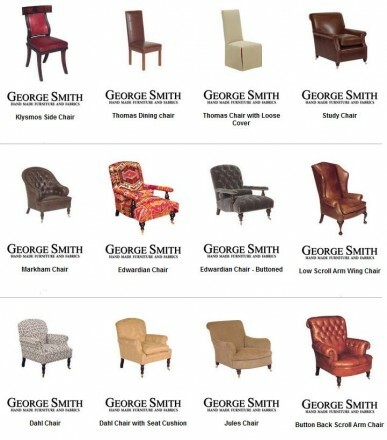 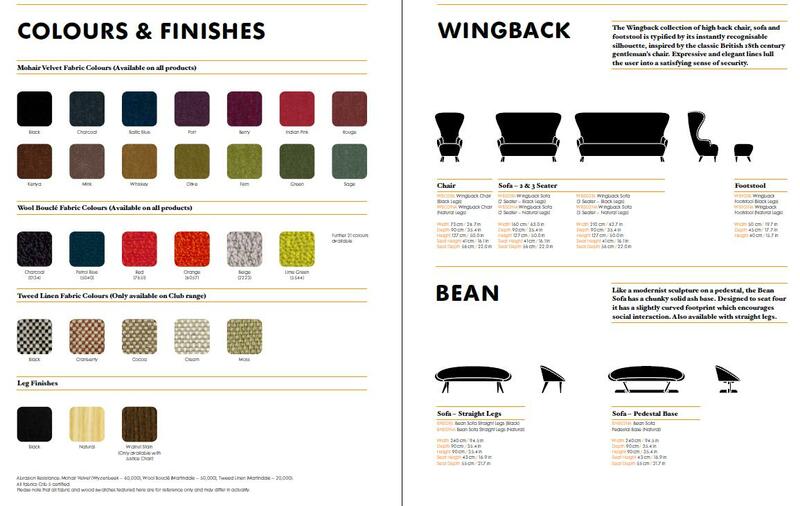 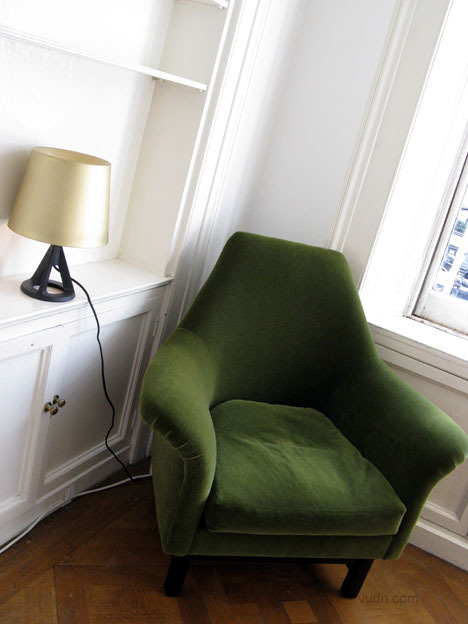 The Wingback Chair is traditionally manufactured. 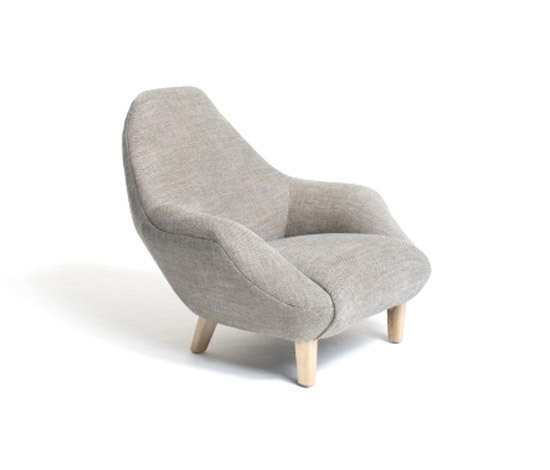 The frame is made from solid birch and stuffed with layers of natural cotton and boar bristle. . 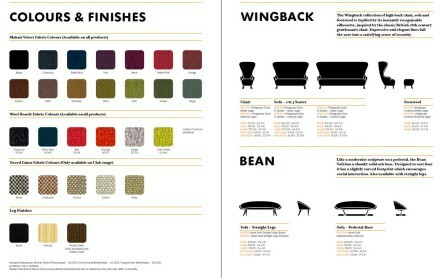 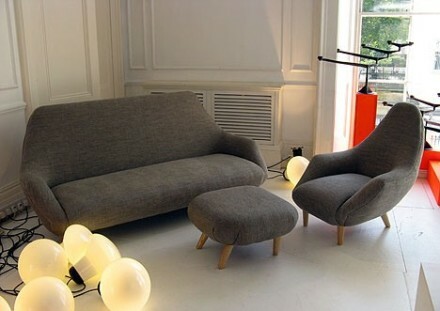 The Wingback sofa is also available as a 2 or 3 seater. 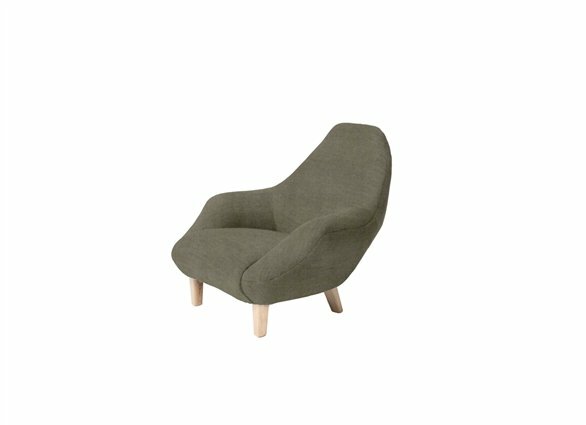 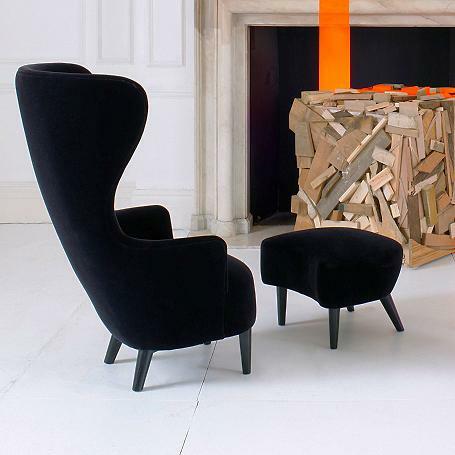 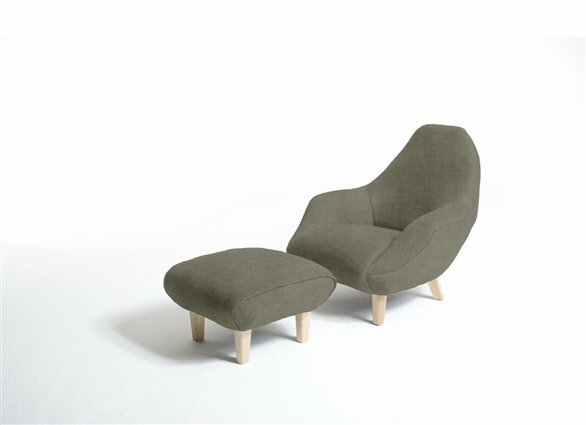 A fully upholstered armchair that references the archetypical British way of sitting long, low and deep. 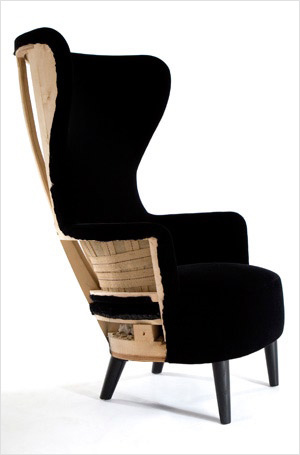 Club is traditionally manufactured by expert craftsmen following a centuries’ old method of production. 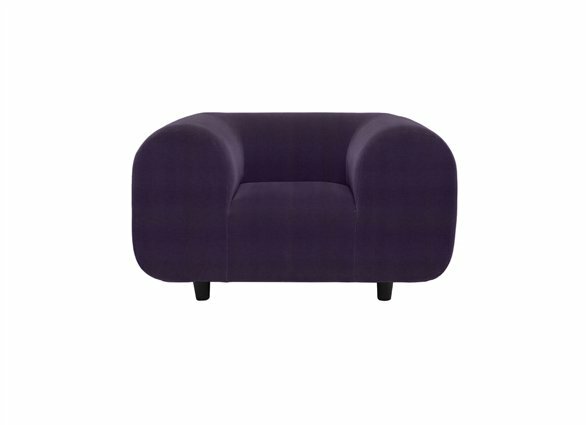 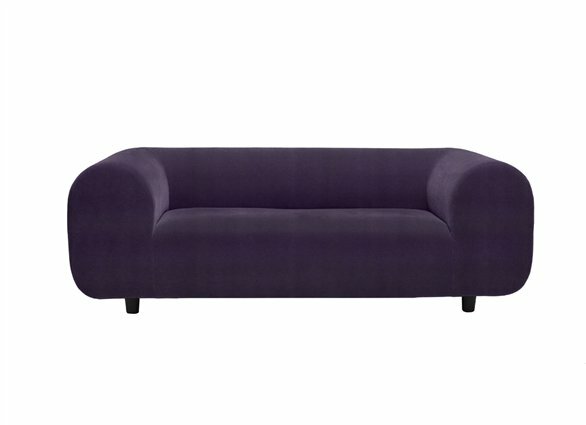 The Club collection extends to a sofa and footstool. 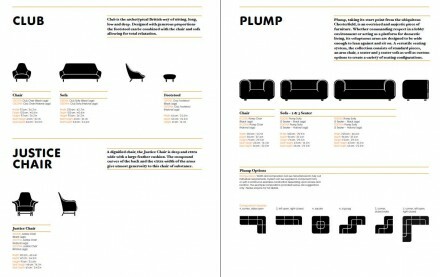 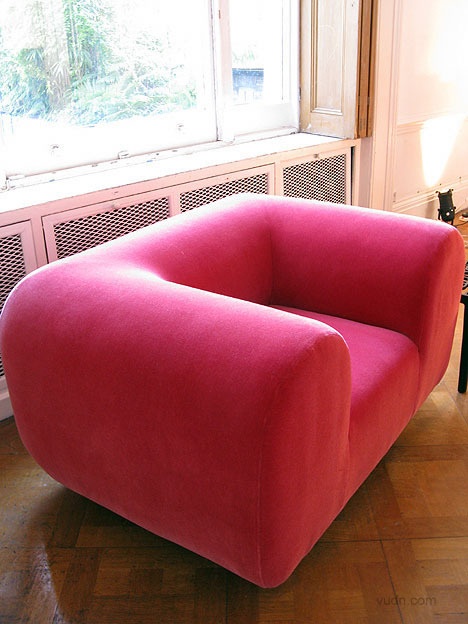 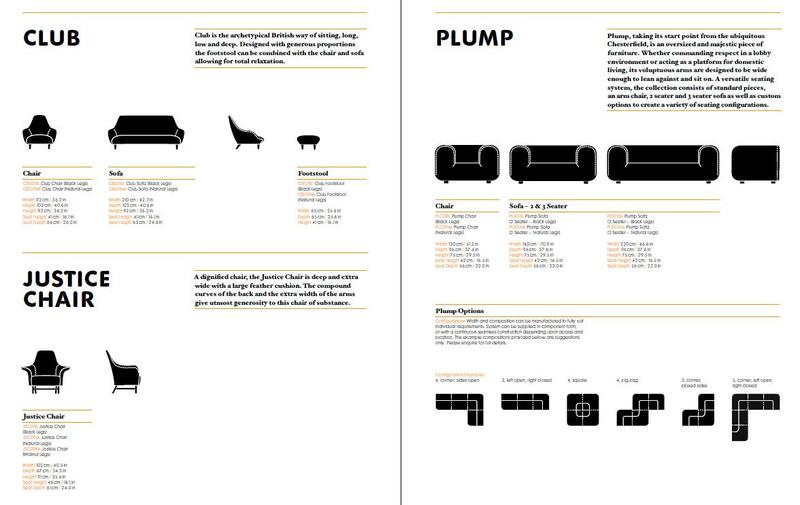 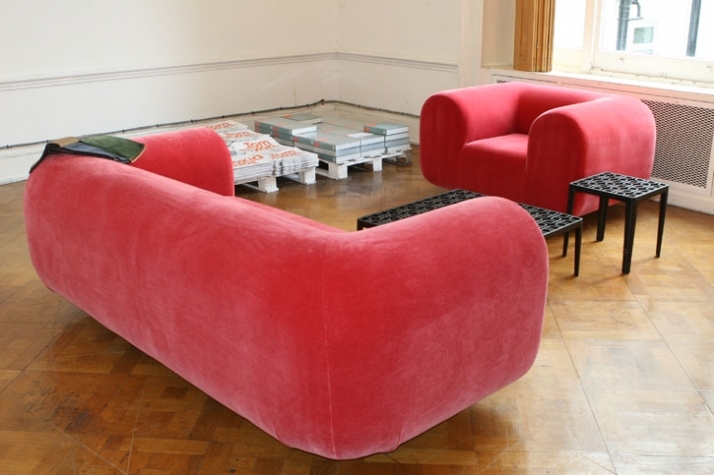 Plump, taking its start point from the ubiquitous Chesterfield, is an oversized and majestic piece of furniture. 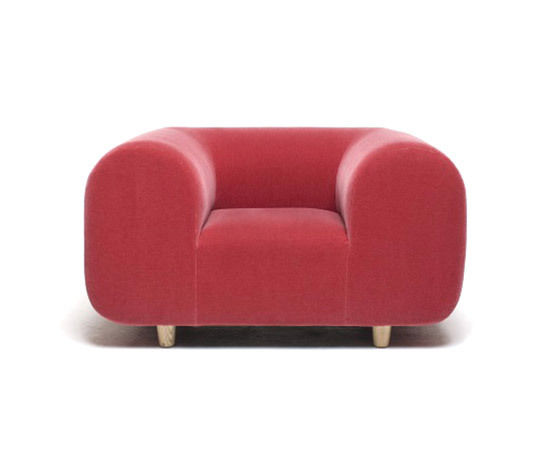 Whether commanding respect in a lobby environment or acting as a platform for domestic living, its voluptuous arms are designed to be wide enough to lean against and sit on. 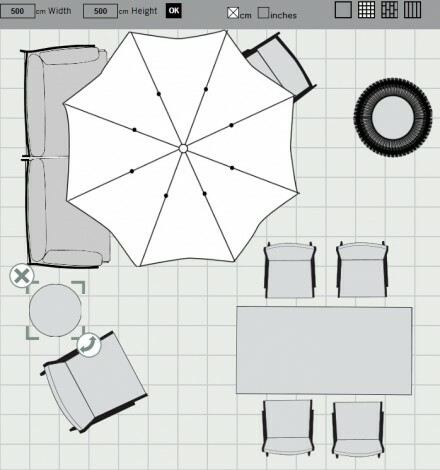 A versatile seating system, the collection consists of standard pieces, an arm chair, 2 seater and 3 seater sofa as well as custom options to create a variety of seating configurations. 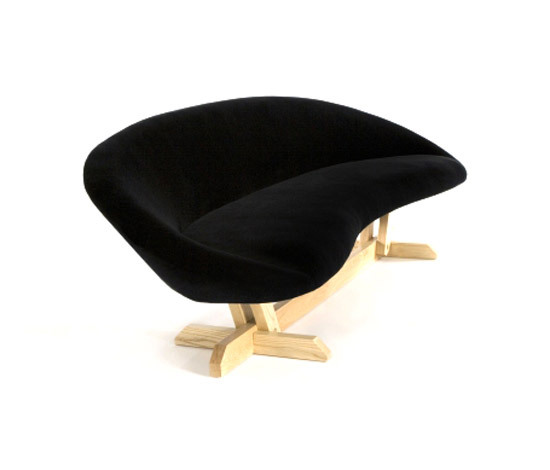 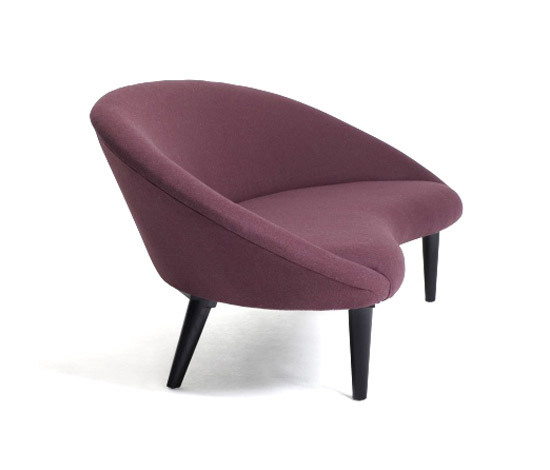 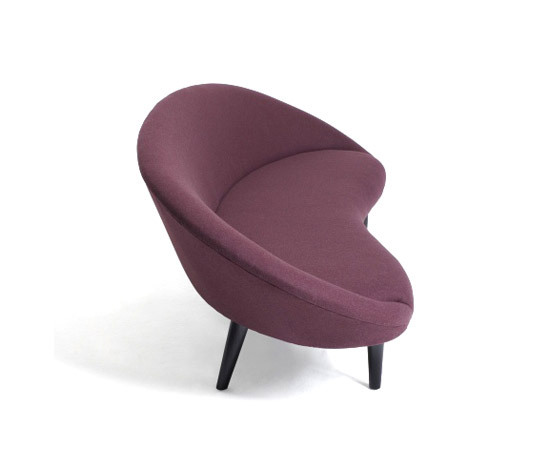 A dignified chair, the Justice Chair is deep and extra wide with a large feather cushion. 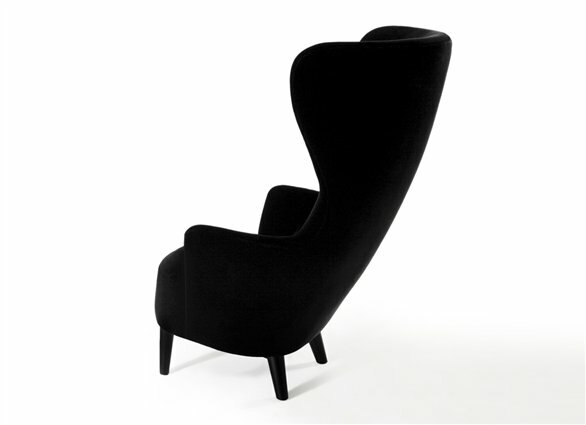 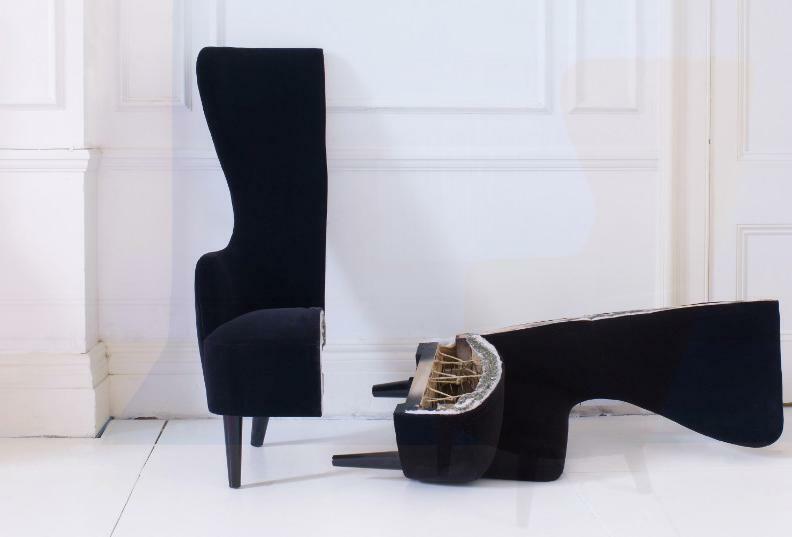 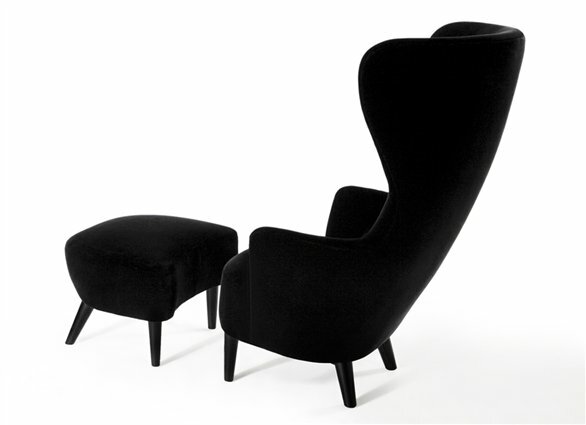 The compound curves of the back and the extra width of the arms give utmost generosity to this chair of substance. 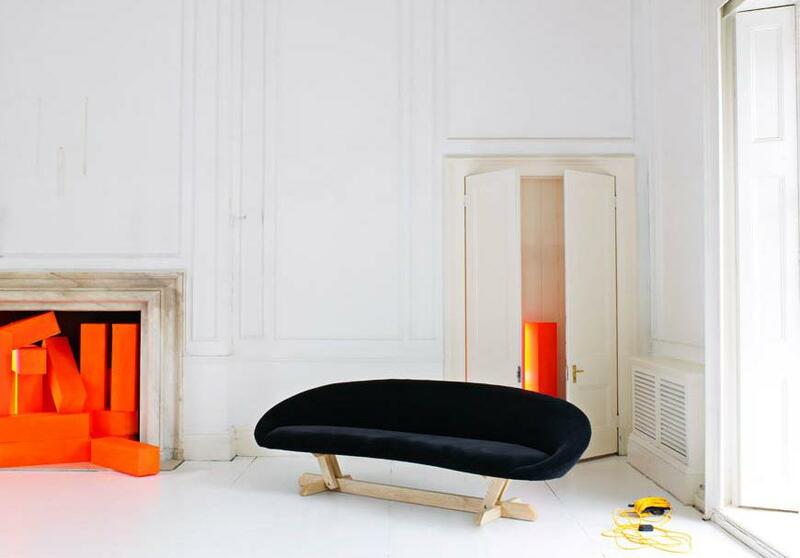 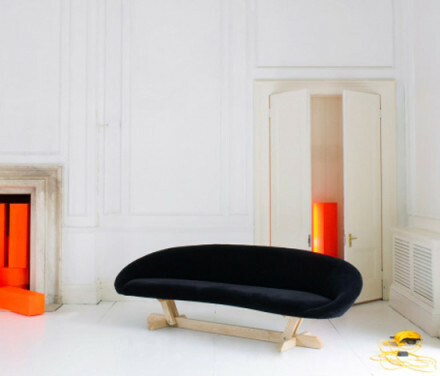 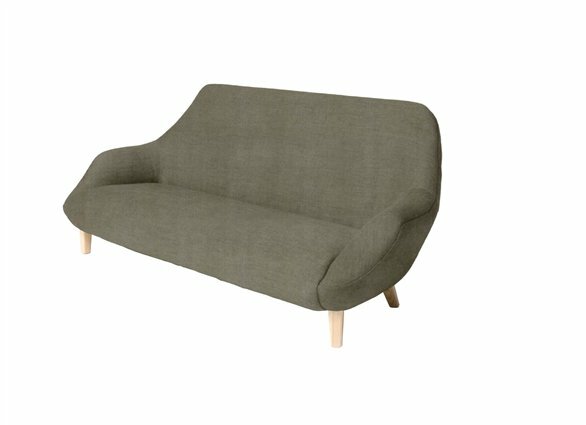 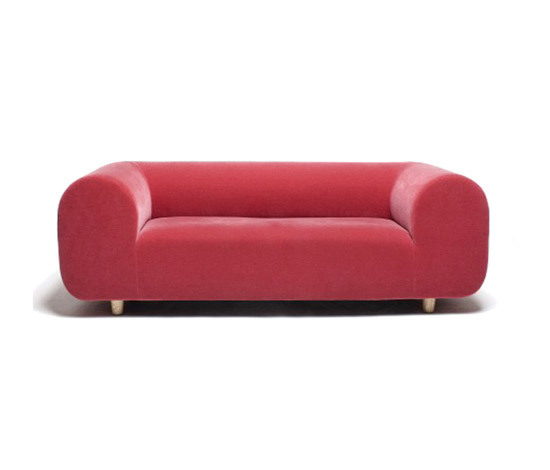 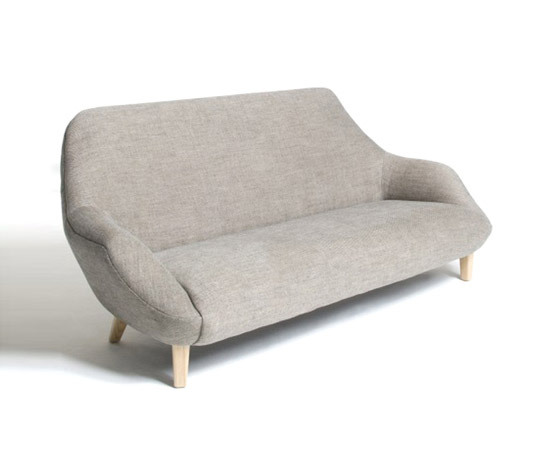 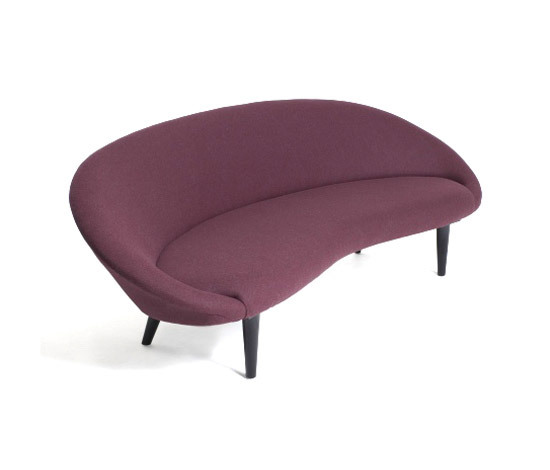 Like a modernist sculpture on a pedestal, the Bean Sofa has a chunky solid ash base. 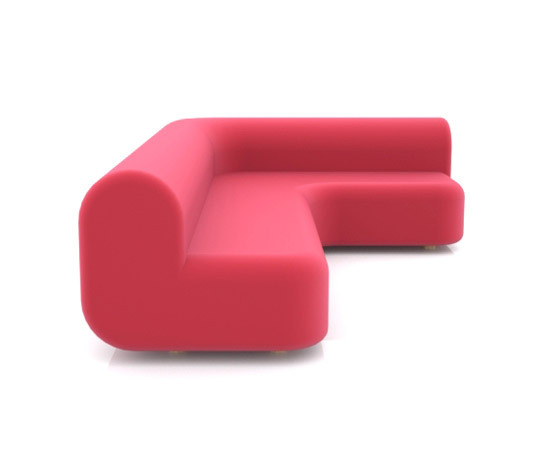 Designed to seat four it has a slightly curved footprint which encourages social interaction. Also available with straight legs. 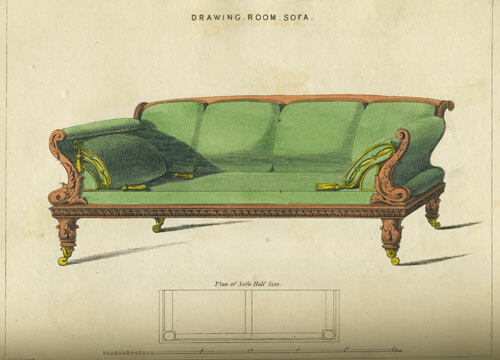 George Smith was most well known for cabinet making and upholstery during the first quarter of the 19 th Century and was spoken of in the same breath as contemporaries Henry Holland and Thomas Hope. 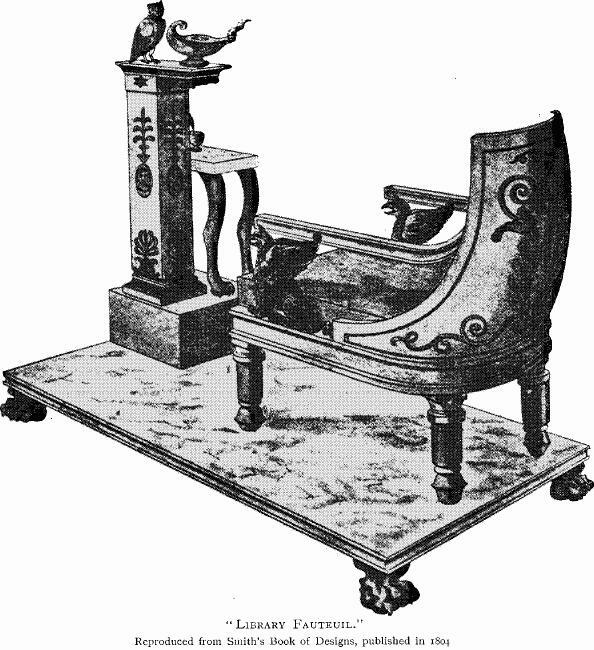 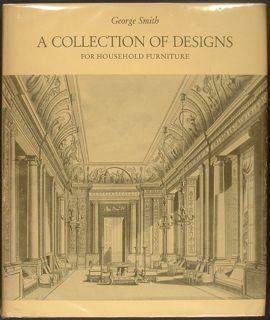 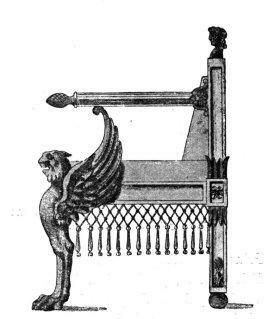 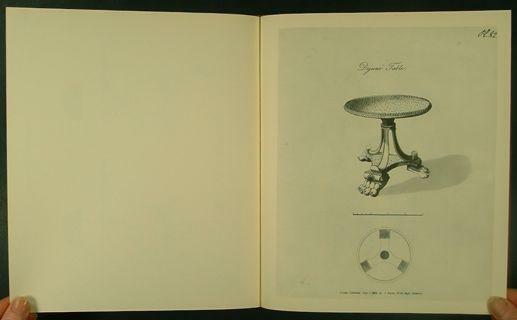 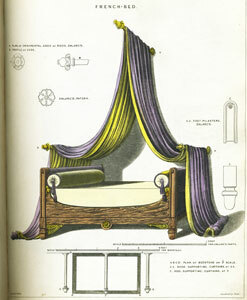 In 1808 a designer and maker of furniture, George Smith by name, who held the appointment of “Upholder extraordinary to H.R.H. 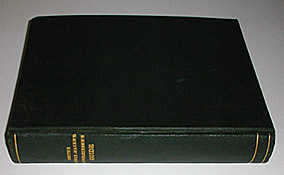 the Prince of Wales,” and carried on business at “Princess” Street, Cavendish Square, produced a book of designs, 158 in number, published by “Wm. 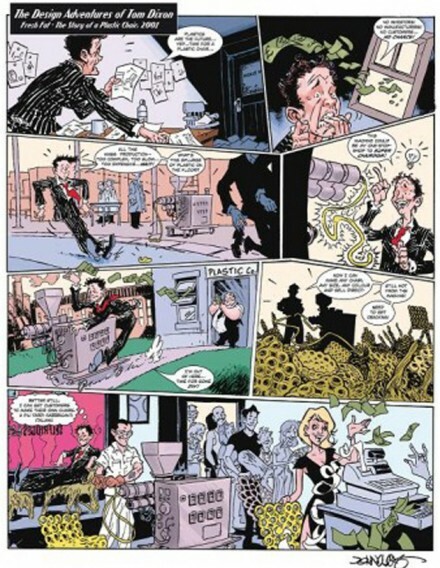 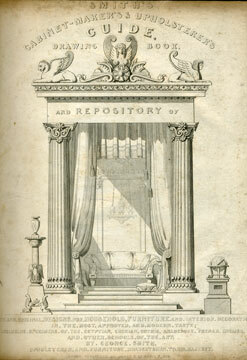 Taylor,” of Holborn. 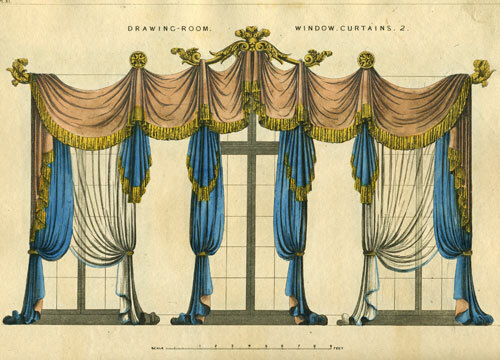 These include cornices, window drapery, bedsteads, tables, chairs, bookcases, commodes, and other furniture, the titles of some of which occur for about the first time in our vocabularies, having been adapted from the French. 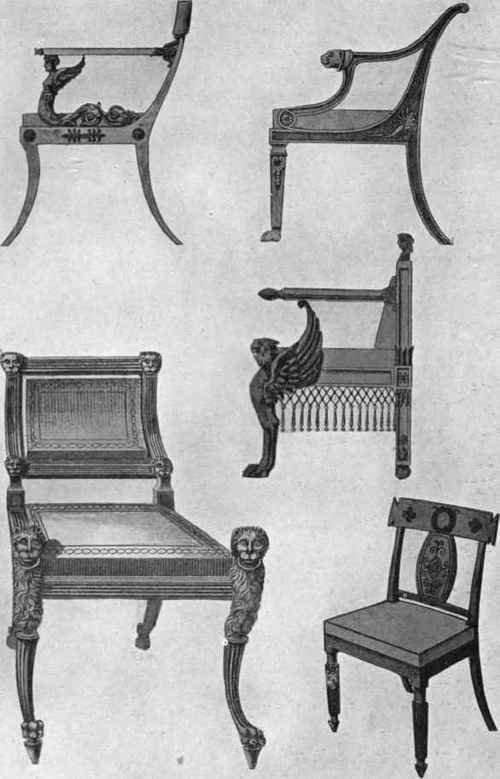 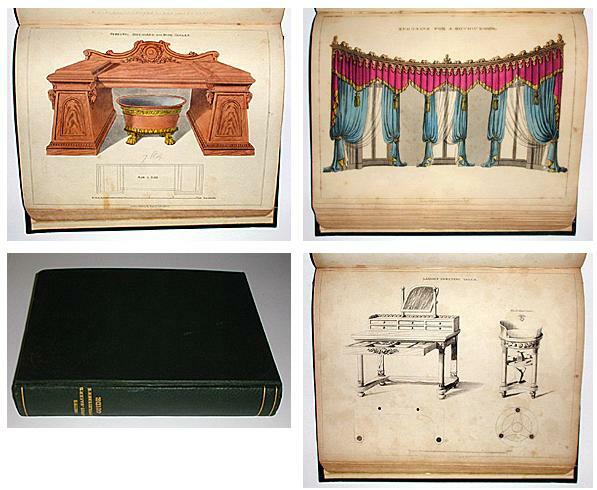 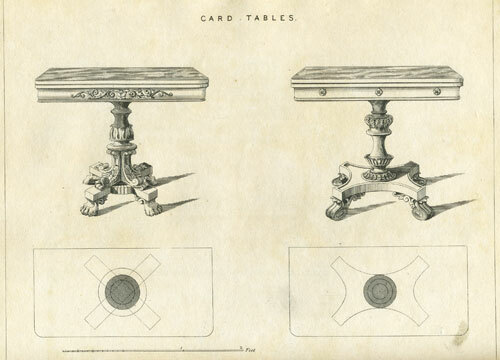 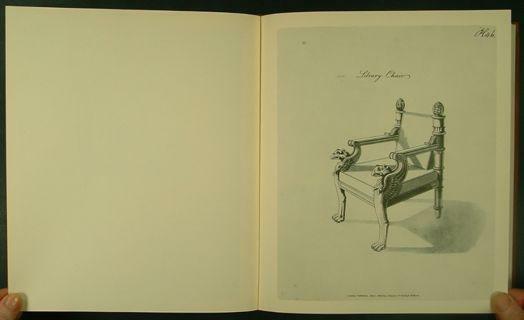 “Escritore, jardiniere, dejuné tables, chiffoniers” (the spelling copied from Smith’s book), all bear the impress of the pseudo-classic taste; and his designs, some of which are reproduced, shew the fashion of our so-called artistic furniture in England at the time of the Regency. Every item of George Smith furniture is made using only the finest natural raw materials, with many of the styles still being based on original designs. 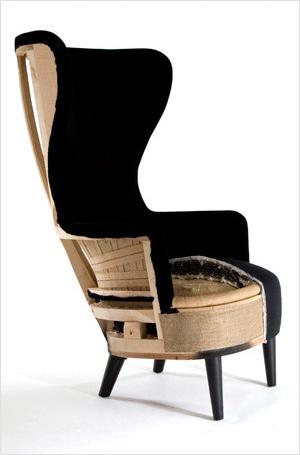 Built by hand in our workshops, our skilled craftsmen are continuing the traditions of classic craftsmanship developed in generations gone by. 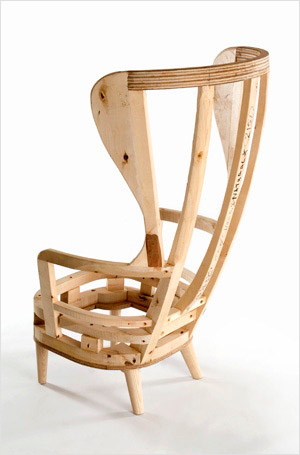 Prime, seasoned beech or birchwood is used for the custom made frames, each hand-jointed and built to exact specifications. 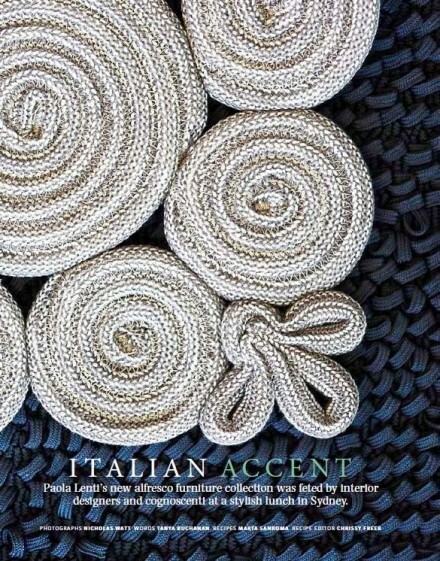 Heavy steel coiled springs are tied by hand into wide bands of interwoven jute webbing to provide balanced weight distribution for maximum comfort. 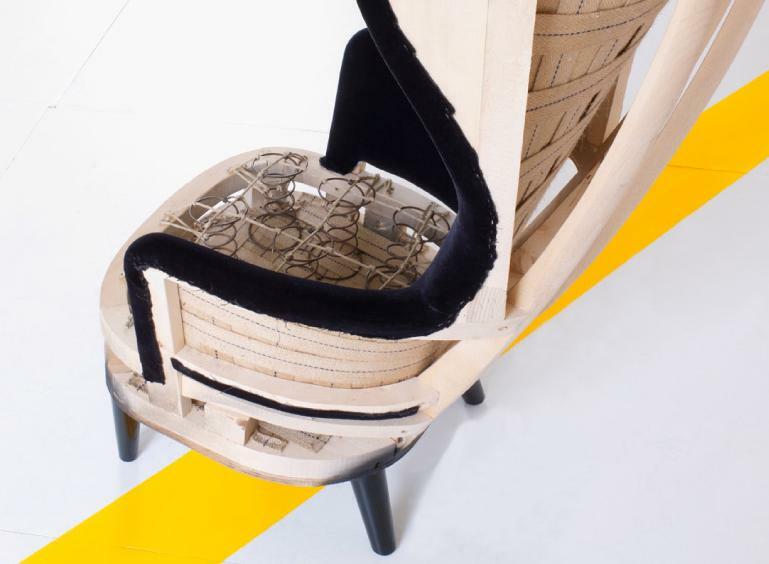 Boar bristle is used as the primary stuffing, enveloping and cushioning the coil springs. 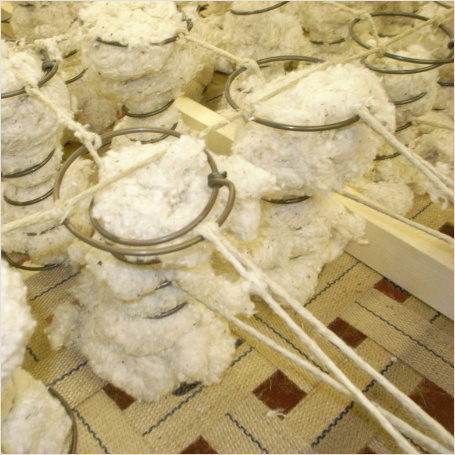 A cotton feather mixture is layered over the whole of each frame to provide thick padding and comfort. 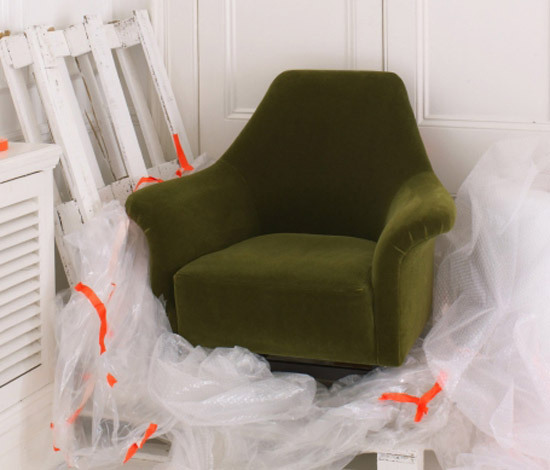 Finally a muslin pad is hand-sewn in place to provide a smooth and seamless base of upholstery, creating the look and feel that only traditionally made upholstery can. 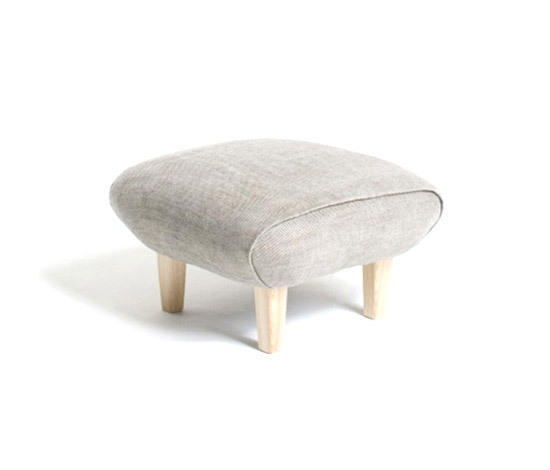 Channelled seat cushions are hand stuffed with a mixture of duck down and duck feathers to attain the right degree of softness and durability. 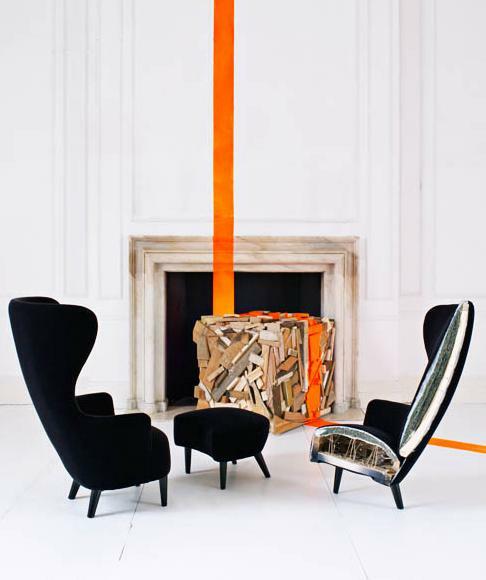 The cutting and positioning of the final cover, be it fabric, leather or kilim, takes great skill and meticulous attention to detail. 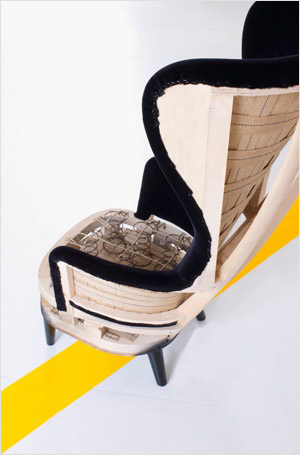 The cover is hand cut to the correct pattern and hand sewn into place on the frame. 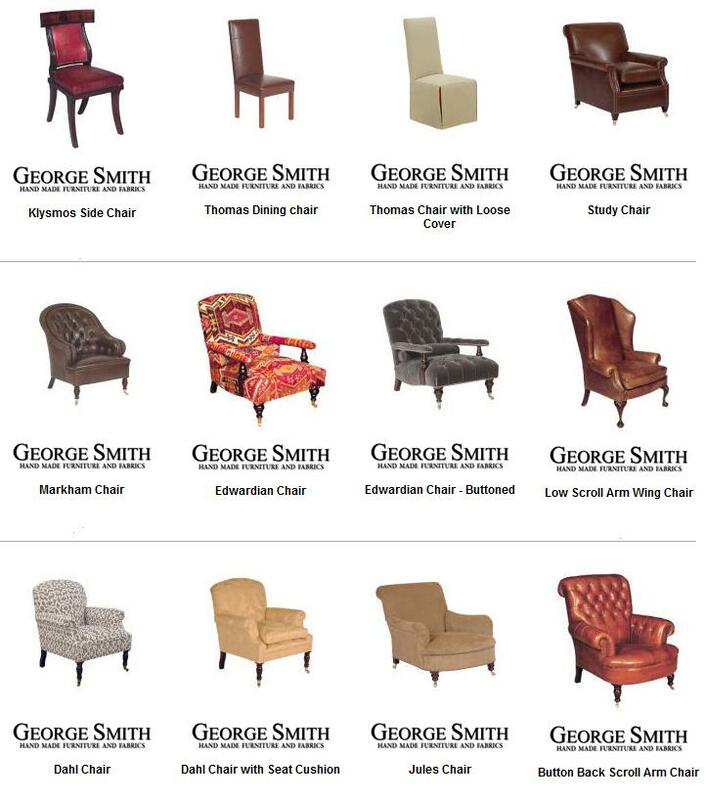 The completed George Smith furniture will provide its owner with an unparalleled degree of comfort and beauty attainable only through the finest craftsmanship available.